For hundreds of years great minds like Leonardo da Vinci have been looking for ways to clean the air they breathe. Their efforts have lead to the products found here. 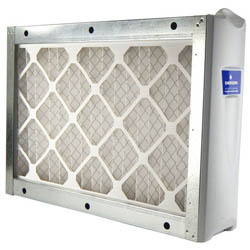 An air cleaner, also known as an air purifier, is an appliance that removes impurities from the air. 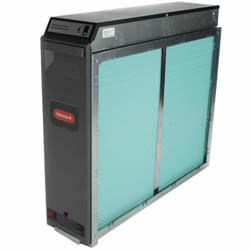 An air cleaner can clean the air in a single room, a whole house or an industrial workspace. Air cleaners are employed in situations where the air typically becomes unhealthy due to smoke, pets or pollutants such as molds. 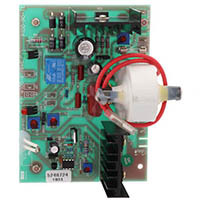 They are also common in work environments that involve hazardous materials. They use a process called electrostatic attraction in which air is drawn through an ionized section where particles get an electrical charge. The charged particles then accumulate on a series of flat plates called a collector that is oppositely charged. Ion generators, or ionizers, disperse charged ions into the air, similar to electronic air cleaners but without a collector. These ions attach to airborne particles, giving them a charge so that they attach to nearby surfaces such as walls or furniture, or attach to one another and settle faster. While portable air cleaners can provide a certain level of effectiveness in individual rooms, Honeywell TrueCLEAN is installed in your central heating and cooling system. 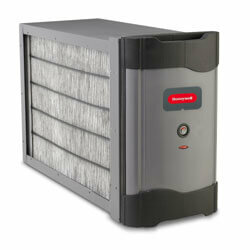 It cleans the air going through your ductwork and pushes the cleaner air out to all rooms in your home. 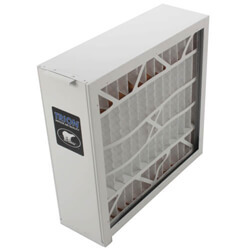 As air is moving through your heating and cooling system, Honeywell TrueCLEAN deactivates 99% of captured particles like airborne dust, pollen, smoke, mold spores and other bacteria. 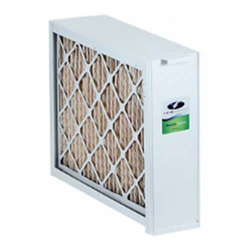 This system is dramatically more effective than single-room portable units, standard one-inch furnace filters, and practically all other whole-house air cleaning systems. The Honeywell Fresh Air Ventilation System Works with your existing heating/cooling fan system to deliver outside air into your home. 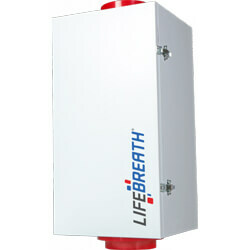 This system provides an easy to install, optimal whole-house ventilation at an affordable price. 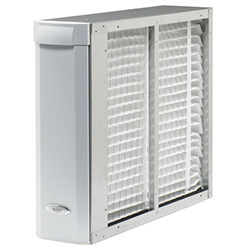 The Honeywell Whole-House Ventilation System removes stale air and replaces it with fresh air. A centrifugal blower brings fresh air into your home from outdoors and at the same time exhausts the stale air in an equal amount. Both the incoming and outgoing air streams pass through an exchange core where the energy from the exhaust air is efficiently transferred to the incoming air. In the winter, this means that the fresh air coming into the house is warmer than the cold air outdoors. In the summer, this means that the fresh air coming into the house is not as hot as the air outdoors. Vents in your home draw the stale air into the Honeywell Whole-House Ventilation System to be exhausted outside. After the heat and energy is exchanged, the fresh air brought in through the ventilator gets distributed in the house though the ducts of your heating or cooling system. A Heat Recovery Ventilator (HRV) saves energy by transferring heat between the stale air exhausted to the outside and the fresh air that is brought inside. 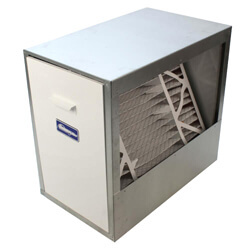 This makes sure that when the ventilator is bringing in outside air, the heat stays inside the house in the winter or outside the house in the summer. 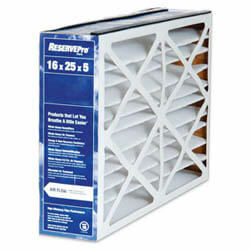 The Energy Recovery Ventilator (ERV) saves energy by transferring both heat and moisture. 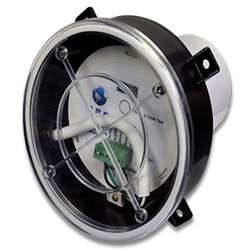 We offer a large selection of portable and whole-house air cleaners manufactured by Honeywell, Trion, Fantech, and White Rodgers . 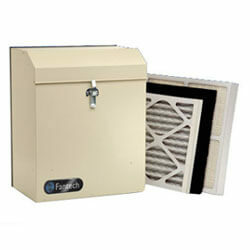 Choose from a variety of residential air cleaners that will help solve your air quality problems.